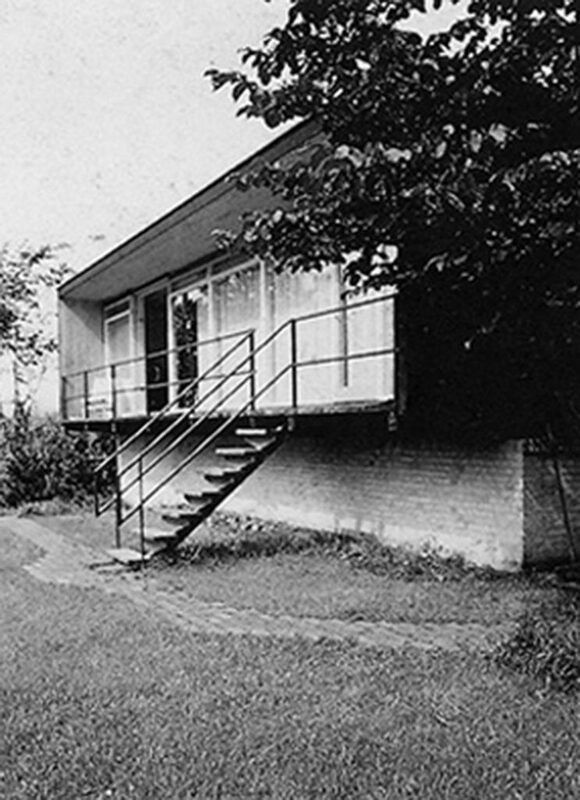 Arne Jacobsen, image of epoch of the house Kokfelt dresses from the garden (h.1957). The Kokfelt house, more than a house, is a form of life, a díaita or diæta that would say the classic ones. It was designed by the Danish Arne Jacobsen between 1955 and finished of constructing in 1957 as summer housing for a small family. It is not of these memorable pieces for his character modélico in formal terms not technological, but it allowed to his author to guarantee a line of domestic investigation that would give fruits as brilliant as the Siesby (1957) and the Jensen (1960), surely more known by all. Beyond treating here of his genesis, it seems to me to be opportune to dedicate this reflection about two of his better attributes for being so despised today (when not reviled): the economy of means and the discretion. In spite of it (or precisely for it) the definitive solution shows an unusual beauty, based on the simple thing, on the effective and moderate thing, without it means to resign the experimentation. No doubt, the house Kokfelt is one of the most synthetic and precise exercises of the whole Jacobsen’s work. It is surely one of these works of the postwar period that better they answer to the New Scandinavian Empiricism. 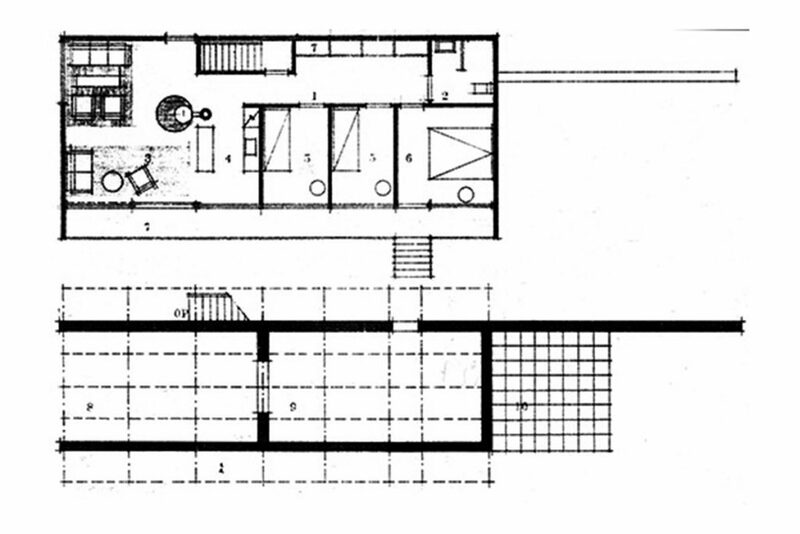 His formula is basic: a typology of “house-belvedere” of compact configuration and elementary construction. A “panoramic box” intimately linked to the landscape. 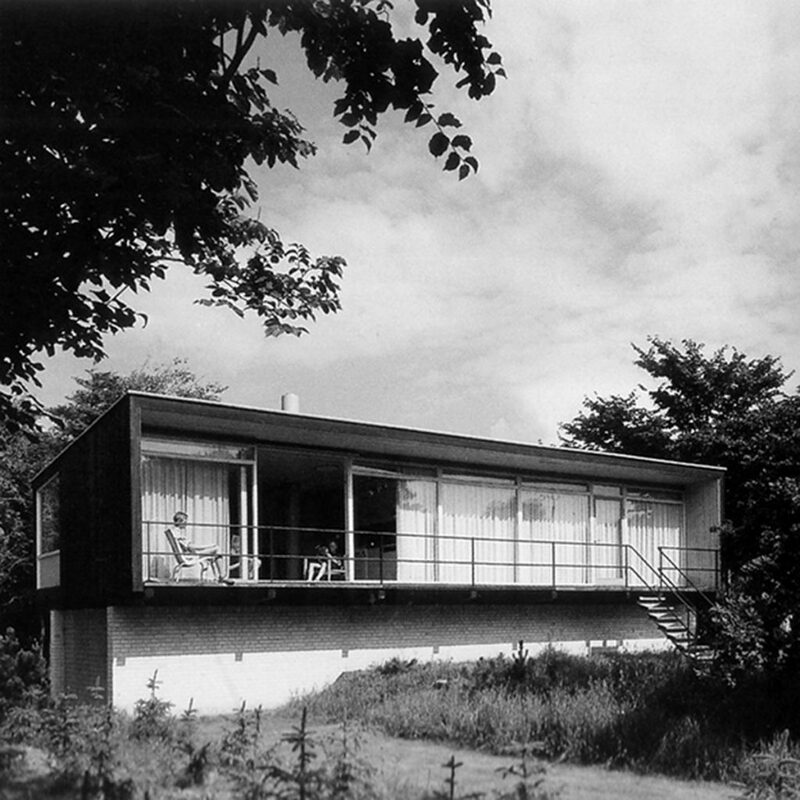 Jacobsen, plant of the definitive project for the house Kokfelt (1955-56). This functional split (spaces of service below, spaces vivideros arrives) compromises to other, so much in formal as constructive terms. The top volume coordinates his dimensions with the low one, raising as light box of wood that demolishes symmetrically with regard to sendos blind walls of brick of the body of support. This basic structural symmetry is really effective as portico of limited light, and allows to reduce the excavation and the foundation, very interesting option for a house of low cost as this one. In addition Jacobsen manages to assay more the budget thanks to a dimensional standardization (strategy that will continue applying even his last housings, as the modular prefabricated houses “Kubeflex”). This option carries a constant pace of identical intervals so much for the substructure of wood of forged like for that of the closings, which in turn coincide with the interior partitions. In end, the whole “modular symphony” without it is a question of a standardized construction, following the Danish tradition. To break with this apparent dimensional inflexibility and “smallness”, the form of the house operates in inverse sense. The box of wood takes major height towards the side west, inclining this way the slope eastward, in short sense. This dimensional privilege of one of the elongated fronts makes correspond with the orientation of the bedrooms and the space of the living, which overturn this way towards the interior garden of the plot. 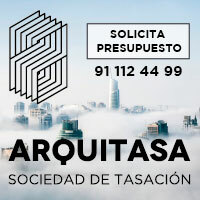 In this front, the architect chooses to create an exterior gallery that connects and unifies the whole gathering, delaying this way a meter the plane of the closing with regard to the theoretical one of the box, as if this one had lost his lid of wood for this side. In his place, a glazed closing of soil to ceiling solves in an intelligent way the front west, with a band of high and narrow windows close to the ceiling (sufficient to ventilate the stays) and other one of square fixed large windows (where there is inserted the door of the principal bedroom as the only different module, since the door of the lounge is deslizante and squared as the rest of the fixed large windows). This rhythmic fracture of the break-down of carpentries is reinforced by the position of the stairs of descent to the garden, placed accurately rightly to the exit of the principal bedroom, in perpendicularly to the railing. Stairs of descent to the garden from the railing of the house Kokfelt (h.1957). Only a couple of hollows more they are practised in the rest of the fronts: one, in the northern part, monitoring the access to the plot, with better conference of the strait of the Kattegat, close to which one arranges the zone estancial of the lounge; and other one, smaller still, in the this side (of which we do not have witnesses in any photography), to create crossed ventilation and to be able to appear to the back part of the lot, where one accedes to the housing across an unnoticed exterior stairs. Kokfelt House orientated to the marine strait of the Kattegat in the north side (exterior and interior). Everything is discreet in this house, up to the chimney that begins to show over the cover. The only heating is the home placed in the center of the living, which allows that scarcely it should be visible over the constructed contour. Just in case, it gave the orders to paint her a clear tone (surely gray pearl or light blue, though the photos in black and white do not allow us to assure which), since it was a his custom in many works in which this conduit could manage to be inconvinient visually. “The technology is not an abundance of means, but the faculty hoarded of adjusting to what the thing claims objectively”. Arne Jacobsen always will be a modal of the empirically possible thing in Architecture, with a captivation that alone it appreciates on having visited his work with pause and patience. With the spirit calmed of whom it walks along an opened but unknown place. With the tranquility and capacity of observation whom, as him, it paints water-colors of the native. 1. Probably this one has been the most valuable contribution of my doctoral thesis.